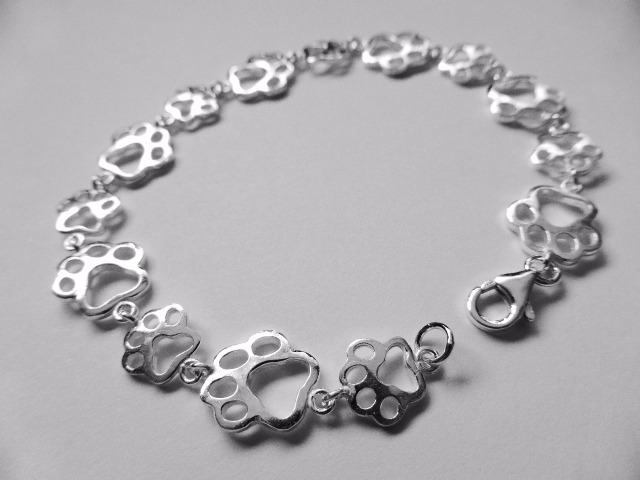 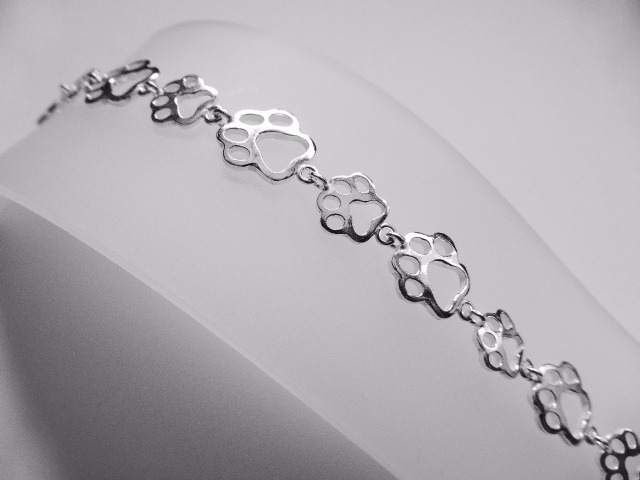 Our sterling silver charm bracelet is very special because each link is a paw print. 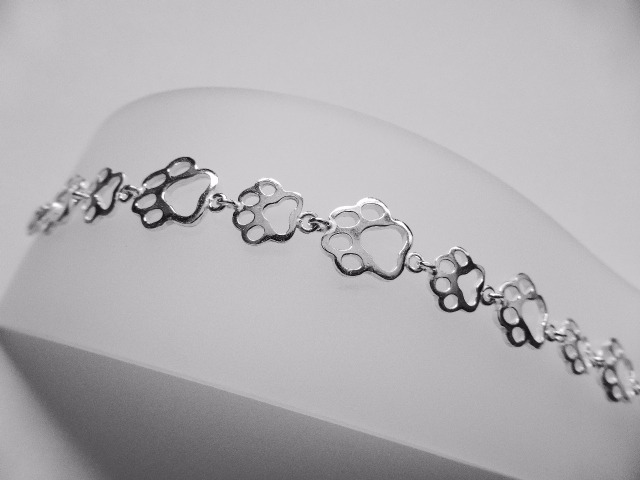 Charms can be hung from the smaller paws. 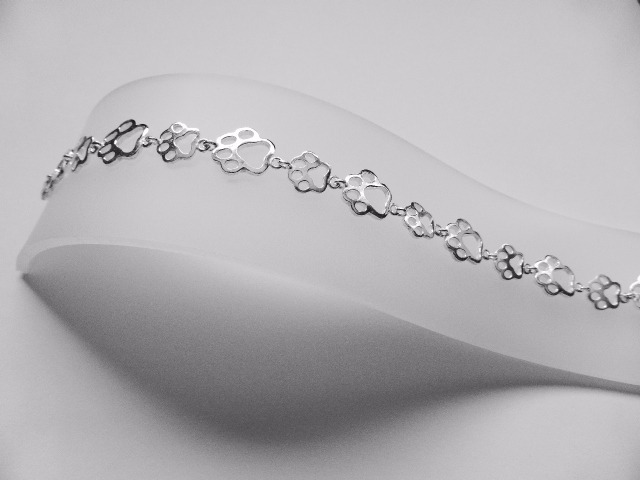 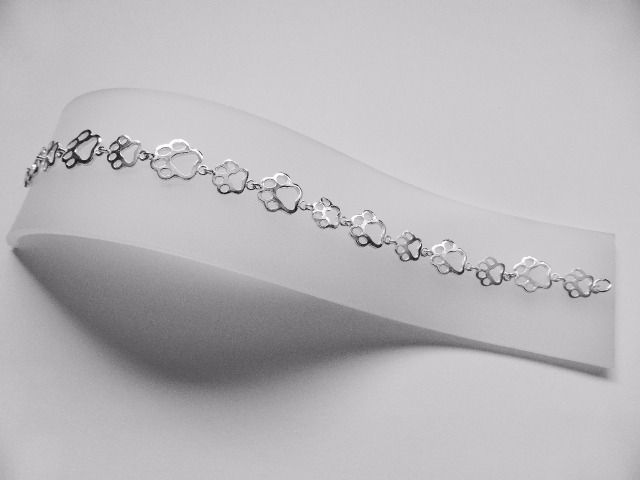 These bracelets are hallmarked at Birmingham assay office.